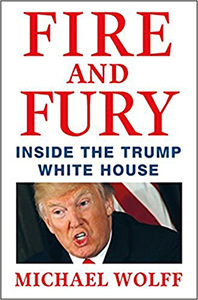 After I burned up my Kindle reading “Fire and Fury”–Michael Wolff’s fly-on-the-wall tale of the Trump White House–here’s the most positive and optimistic thing I can say: There is no reason an Asian American couldn’t be president of the United States in the near future. Oh, we’d need to have the money, get elected, and deal with the realities of political life. But if one of us wanted to do it and, most importantly, really believed in the greatness of our institutions of democracy, then surely, the best of us could do a smarter, better, and more competent job than the current White House occupant. No matter what our party affiliation. An Asian American–or any person of color, for that matter. A Latino. Another African American. A woman. It’s going to happen eventually. The U.S. population–if fairly counted in the next Census, with no new citizenship questions–will continue the trend of minorities becoming the majority. We must also make sure the Voting Rights Act stays strong. But the demographics are there. Even the GOP acknowledged a post-Obama world by preparing a diversity blueprint for the 2016 presidential campaign. But then Donald Trump, driven by ego and megalomania, decided to run for the presidency. And the GOP lost its way. Trump won and got stuck with us. Now, the reality show known as “The Trump Presidency” is unfolding as one of the great tragedies in our modern political history. I used to think Franklin Pierce, our 14th president, circa 1853, was the worst ever (as I mentioned in my one-man show, “Amok Monologues”). Among Pierce’s ideas: He wanted to turn Cuba into a slave state for the U.S. But for my money, Trump is redefining what it means to be at the bottom of the POTUS pile. Just look at taunting of Kim Jong Un this week in his “my button is bigger” tweet. For the past year, Trump supporters have said give the guy a chance and he’ll grow into the job. Given his experience bankrupting a few casinos, he’ll get the hang of things. True, it’s only been a year, and by the Washington Post’s count, he’s only lied or misled the American people about 1,950 times. But Wolff’s book confirms what we’ve long suspected. Backed up by 200 on-the-record taped interviews, Wolff’s “Fire and Fury” shows Trump to be a man who doesn’t like the job he didn’t really want in the first place. He’s the man who wouldn’t be president. But he has to be, thanks to the electoral college. No wonder he wants to abolish it. Without it, he would have lost, just as the book says he planned on doing all along. Poor spoiled rich kid. Forced to drive the free world as its leader, but who would rather be its shiny orange-haired hood ornament. The book’s anecdotes are pretty astonishing. They show Trump as capricious at best, a petulant child at worst. 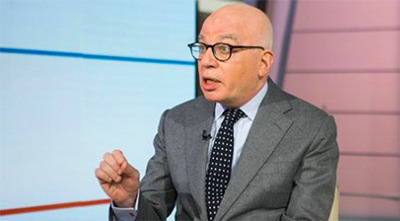 In one section, Wolff describes Trump turning in early for the night to eat cheeseburgers in bed while watching cable news. The image is not exactly Putin bare-chested on a horse, if you know what I mean. But it sure doesn’t sound presidential. I wonder how the world’s leaders read it? And then there are the people around Trump calling him an “idiot” or “moron” behind his back. According to Wolff, this is far from “fake news.” These are things said by senior officials who work with the president and supposedly like him. But this is beyond an “emperor has no clothes” tale. “Fire and Fury” is an “emperor has no attention span” tale. No attention span, no interest, and no suitable intelligence for politics and world affairs. He sort of knows money, if you think knowing how to use the bankruptcy laws proves one’s business acumen. If anything, he has an off-the-charts passion for self-aggrandizement. But the book indicates Trump has no passion for civic life, civil rights, defending the constitution, or democracy. He’s a simple man. He likes golf, his real estate holdings, fast food, Fox News, and misogyny. In other words, Trump has no business being president, but saw running for president as a way to be the most famous person in the world. He never really thought he had a chance of winning. But then he didn’t anticipate a 2016 electorate as burned out and as cynical as himself. That’s probably the greater tragedy–that voters were so disgusted with our country that we elected a guy like Trump. Trump supporters generally don’t read what they don’t agree with, so it’s questionable if they’ll even care about Wolff’s revelations. They might read the new CliffsNotes–Twitter. And let Trump be Trump. But the rest of you should read the book and rev up the outrage for the midterms and beyond. None of that is easier than the simple fix: People restoring a sense of value for our nation, our government, and our democracy at the ballot box. We all share some blame in enabling Trump in the first place. Correcting what happened in 2016 is up to all of us.